Home owners with Properties which are constructed with patios doors need to ensure they take the suitable steps to secure their home from easy entry. 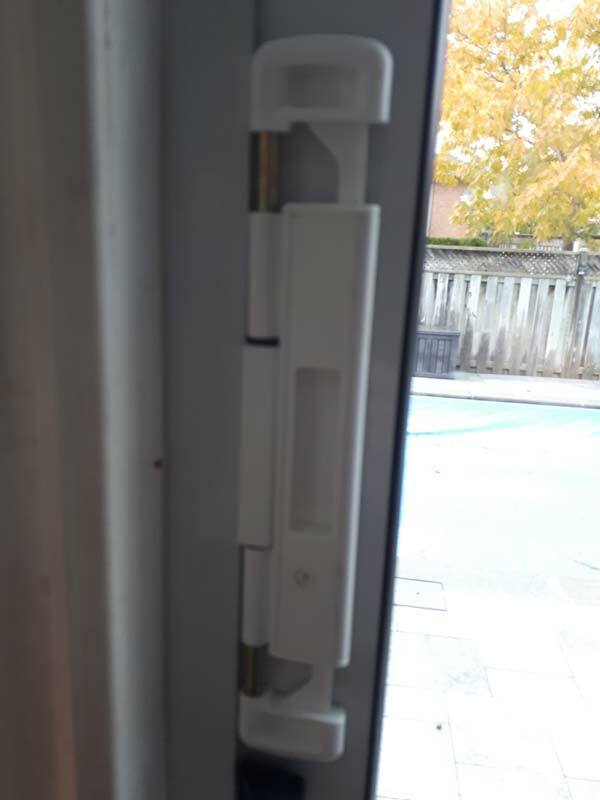 Fitting some additional equipment, like a better sliding door lock to make certain that patio doors can always be secured properly in order to reduce easy access commonly associated with sliding doors. We have a collection of various different patio door locks designed to greatly reduce forced entry and give your property and family the correct protection of every kind of sliding door. 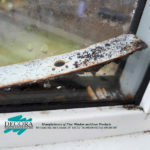 Many home owners are really unaware that your sliding glass door is one of the weakest point of entry in your house that may usually be conquered within seconds by crooks. A lot of sliding doors can be easily lifted off of the track allowing a burglar to get easy entry into your home typically with minimal effort. The only real means of protecting your house is to install the proper sliding door lock system which will dissuade a burglar from entering into your house and ward you from burglars which may wish to get into your house. We can come and determine the ideal locking solution which will work on your current sliding door. Getting the ideal lock for your sliding glass door will help give you the protection that your are looking for. Even though we advise fitting a much better sliding door lock, you may want to ensure that all of your external door locks are really locked when you really need them to be. It is truly shocking the number of people that do not even know that their sliding door is not actually locked at all. Also, it is important to protect your sliding doors so they can’t be lifted out of place. A serious burglar may be able to dislodge your sliding door and very easily lift it out of position and then get into your home with minimal damage of entry. This is the reason you must make sure that your door has properly adjusted sliding door rollers and it is seated in the correct position. This may make sure a thief isn’t able to very easily lift your door out. The CAL Double-Bolt Lock works by securing the sliding door against the door frame at 2 security points thus reducing any movement of the sliding door. 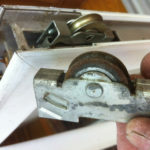 Having its double locking action this CAL Double-Bolt Locking mechanism will make it nearly impossible to remove the sliding door by simply lifting it out of its track. If the Double-Bolt is secured it’s locked period. Your Cal Double-Bolt Lock is actually stylish, tough and permanent. Most importantly, its flexible installation options, mean the Cal Double Bolt Lock may be fitted anywhere on the sliding door opening to increase security, safety and ease. 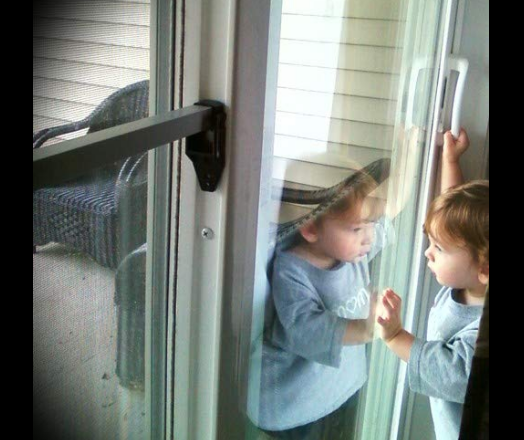 When installed, the CAL locks amazing design helps make a sliding glass door just about Burglar Proof. Your CAL double bolt security lock can certainly be used as the primary locking system or a secondary lock on any glass sliding doors. Your CAL lock may be fitted above the original door lock so it’s out of childrens reach or maybe under the original lock so it is in kid’s reach. The CAL “Double-Bolt Lock” is a fully patented, top security locking mechanism which prevents sliding glass doors from being removed from the door track. Also the CAL lock offers a new safe feel safe and sound locking system that ensures your door is really locked! 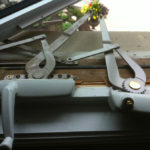 Charley bar – a Security Bar to Keep Burglars Out! The “Charley Bar” gives cost-effective security for your home against forced entry through the sliding glass door while using the Charley-Bar safety lock. This straightforward, however incredibly effective device keeps sliding doors from being pried open by thieves. Charley-Bars are super easy to install, and provide years of dependable service. 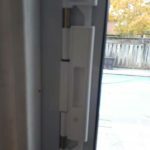 A better alternative to hockey stick or piece of wood, this sliding door lock is usually set in the center of the sliding door, making it very visible, and will discourage an intruder. What’s more, it offers an additional obstacle to little ones that have learned how to operate doors.